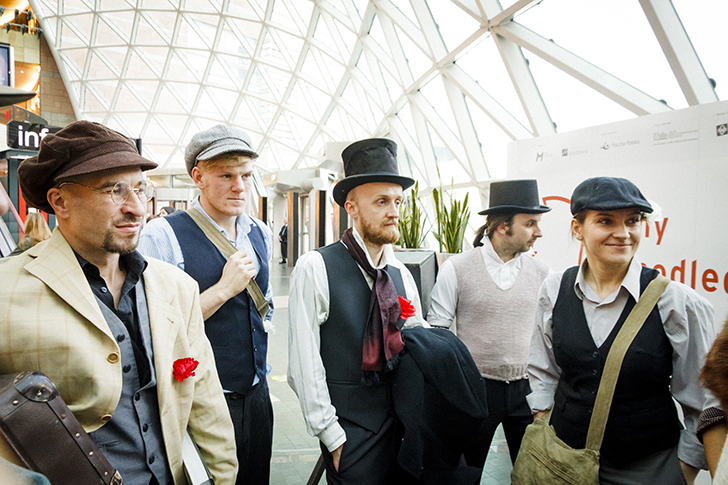 The innovative educational programme combines the local and the ‘great’ history of Poland. It is a bridge between Milanówek and Gdynia – the communities of both towns come to know each other and their history. 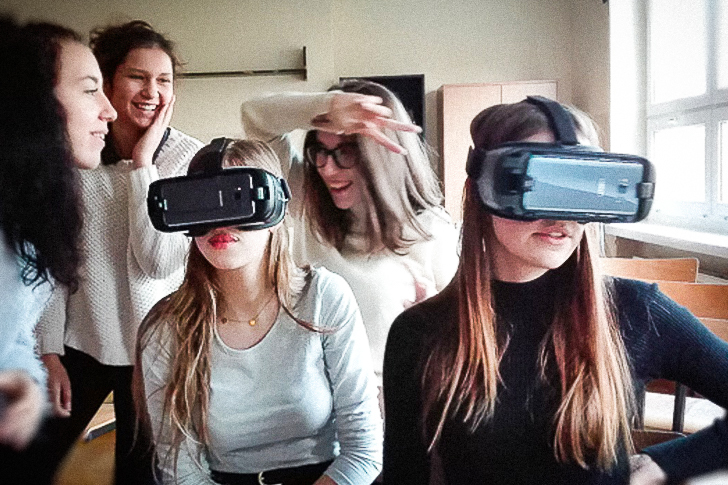 Thanks to Virtual Reality technology we get to know the finest Polish ocean liner and its patron. Youths create an independence-devoted triptych and a virtual simulation of a passage of people of 100 years ago against historical scenery. 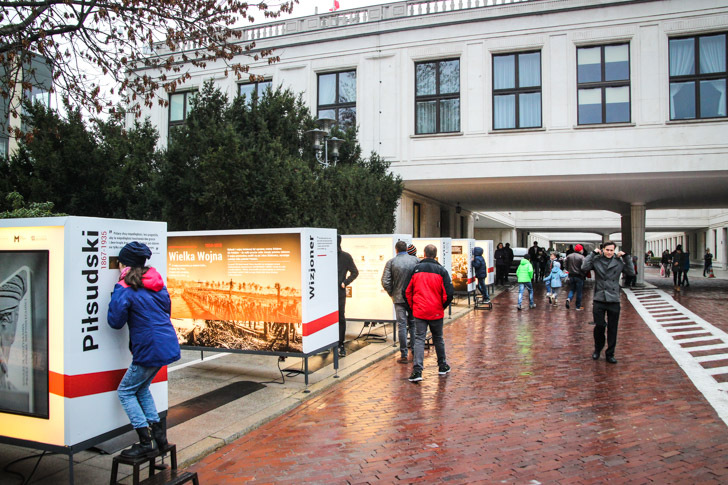 The mobile kaiserpanorama we have built, the only one in Poland, travels the parks, market squares and promenades, presenting Polish towns and their history of 100 years ago in 3D technology. There are 5 stands with stereoscopes available at which people can look in and admire 25-50 archival pictures. A different exhibition awaits them in every town. The mobile outdoor exhibition "The roads to independence"
The mobile outdoor exhibition on the occasion of the minting of a series of coins to celebrate the 100th anniversary of the regaining of independence. The exhibition presents Józef Piłsudski’s road to independence. What makes it attractive are archival pictures of the Marshal prepared in 3D technology, films, radio plays as well as recordings of culture and media people speaking about what independence means to them. A virtual version of the exhibition is also available. An event referring to the 75th anniversary of the last Congress of Legionaries held in August 1939. The whole-day event devoted to the history of Polish Legions, included meetings, readings by authors, a street happening, a city game, an outdoor exhibition, a concert, singing of Legions songs as well as historical information points where everybody could check whether their relatives or friends served in the Legions. Involved: Anna Osiadacz as the head of the Front of House Section in the Józef Piłsudski Museum. Polish Legions songs adapted by Włodzimierz Korcz at the market square in Kielce. 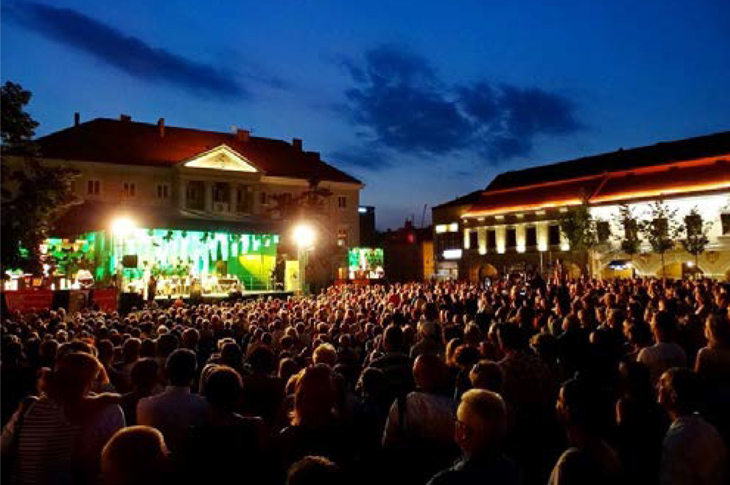 The concert to celebrate the 100th anniversary of the Legions, with the participation of Alicja Majewska, Hanna Śleszyńska, Dorota Osińska, Zbigniew Wodecki, Robert Rozmus and Piotr Gąsowski gathered an audience of over 5000 people. The anchorman, Artur Andrus, entertained the audience with numerous Legions-related anecdotes and so called ‘żurawiejki’, short couplets, written specifically for cavalry regiments. A unique flash mob in the Złote Tarasy Shopping Mall in Warsaw inaugurated the action We Have an Independent Poland! 2014. Figures from 100 years ago flooded Warsaw. Actors and reenactors invited surprised passersby to join the festivities, sing and congratulate one another on the occasion of regaining independence. All that was recorded live by cameras deployed in different points.